Fits L&B 2-inch wide tape-in extension bonds. 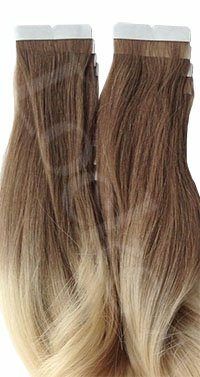 See Ultrabonds 1.5” size for other brands of extensions. Single-sided tabs are used to attach ONE individual tape-in hair extension piece (instead of two as a sandwich). Great for places you want a thinner hair strip like around the face or parts. Only one side of the tape tab is sticky and the other side is clear see-through polyurethane. 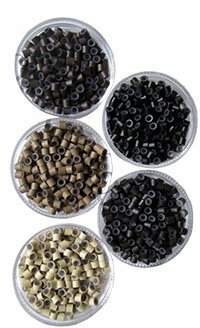 UltraBond Hair Extension Tape Tabs are one of the best tapes available for seamless tape hair extensions, if not THE best, in our opinion. 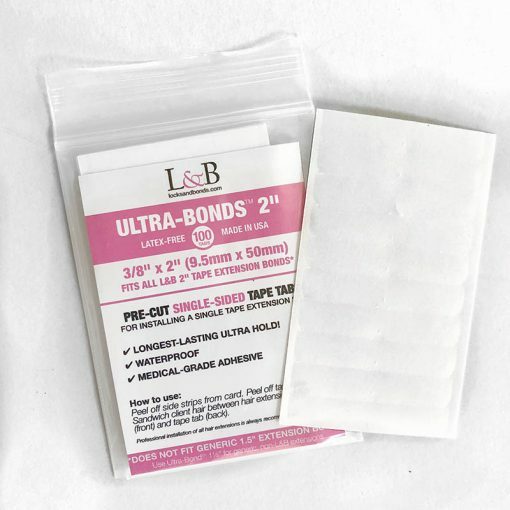 UltraBond Hair Extension Single-Sided Tape Tabs are pre-cut to fit L&B 2″ tape hair extension bonds. Waterproof, latex-free, medical-grade, no-damage adhesive. UltraBond is like SuperTape, but improved because it comes off in one pull and will not break apart during removal. Single-sided tape tabs are use to secure individual tape-in extension pieces. These tape tabs only have one sticky side that attaches to the client hair and one tape extension sandwich for thinner installments and less hair. 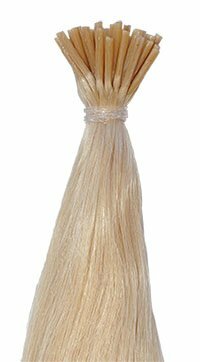 Typically used around the face or front of an install, or clients with very thin hair. Normally, the client’s real hair is sandwiched between two hair extension pieces. In some situations, however, you may only want to attach a single extension piece. For example anyplace where you might want less hair, like around the frontal area or close to a part. This is achieved by sandwiching the client’s real hair between a hair extension piece and a single-sided tape tab. L&B Ultra-Bonds 2″ Single-Sided Tape Tabs are designed to fit 2-inch (50mm) extra-wide L&B tape extensions bonds with center notch. If you have generic, non-L&B tape extensions, order the 1.5″ single-sided tape tabs here. Ultra-Bond Hair Extension Tape Tabs are made with the same adhesive found in SUPERTAPE – THE best tape adhesive for seamless tape hair extensions. IMPORTANT: These are not Double-Sided Tape Tabs to retape tape extensions. You will find those in other listings under Double-Sided Tape Tabs. Ultra-Bonds hold is fantastic! Holding power… non-stop day and night… until removed. One side is sticky and the other side is clear see-through polyurethane. Correct installation is a MUST for long lasting holding power. 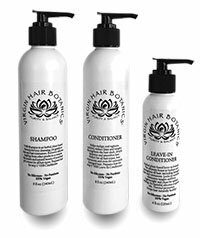 Results may vary depending on your own hair oil content, installation technique and daily styling routine. Returns are not possible for Tape Tabs, Tape Rolls, Micro Rings or any tools. All sales for these items are final. *The hold you get will depend on your own hair oil content, installation technique and daily styling routine. If your tape extensions are not holding, 99% of the time the mistake is in the installation technique and too much client hair has been sandwiched between the two tape extensions. Our tapes have proven their effectiveness for years and are well known in the industry to have the best hold possible. L&B can not be responsible for any installation errors and tape extensions that fall off after installation. It is NEVER due to the tape not working.